If you thought fossils were just for geeks, you’d better think again. 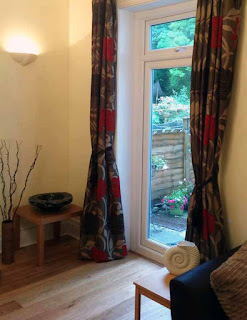 Where you used to only see dinosaurs behind glass in museums or shark teeth on the dusty shelves of teenagers’ bedrooms, you are now just as likely to see a beautiful ammonite in the living room of a cosy country cottage or as a centre piece in the trendiest London apartment. With this in mind, I recently returned to a shop I discovered a few years ago on the Isle of Wight, Jurassic Jim’s fossil shop in Shanklin. 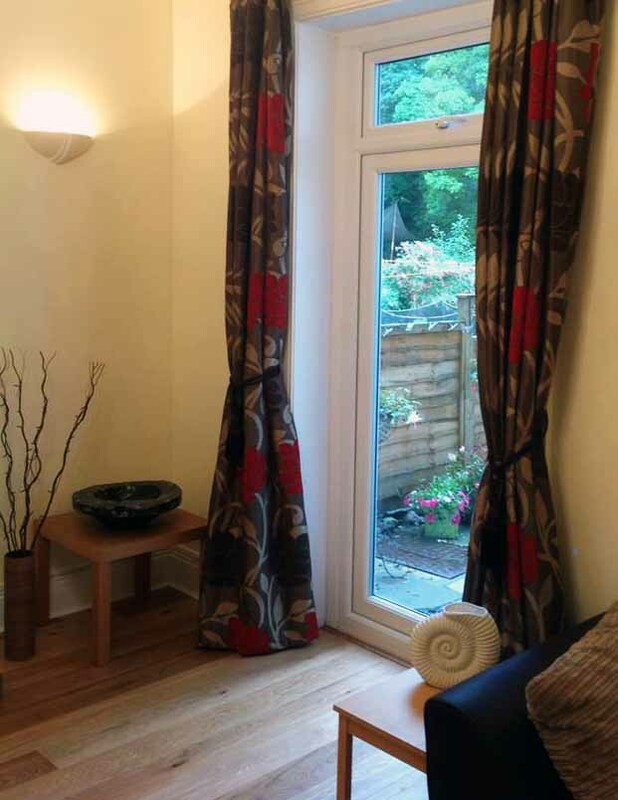 I was looking for a different kind of gift; you know the kind you don’t normally get on the high street; something unique but not too expensive for a recipient that I knew wasn’t a fossil collector. 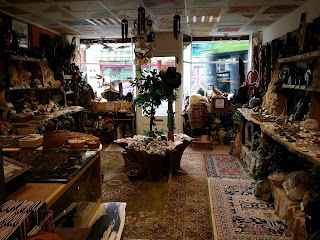 As I entered the shop I was greeted with thousands of fossils, natural history collectables, artefacts and gifts and I knew that among the coloured crystals and displays of polished fossils and gemstone jewellery, I’d find the ideal gift. The shop still had all the collectable fossils from the Isle of Wight and around the world. Baskets of shark teeth and hand sized ammonites piled high, detailed fossil fish on limestone beds and delicately prepared trilobites which ranged from mouse size to some larger than a dinner plate. Coloured agate slices for craft work dangled from the ceiling and crystal selenite mountains towered over vibrant coloured geodes. From the centre of the shop I was welcomed by Jurassic Jim himself, a man so passionate about fossils and knowledgeable about his stock that he’ll spend hours telling stories about everything in the shop. He’s so helpful that you’ll know more about your purchase than anything else you own. Jim helped me select the perfect polished ammonite for my friend but of course I can’t tell you how much it was in case she’s reading this post but what I can tell you is that Jurassic Jim’s prices are so reasonable that you could not only start your fossil collection in his shop but almost complete it too. 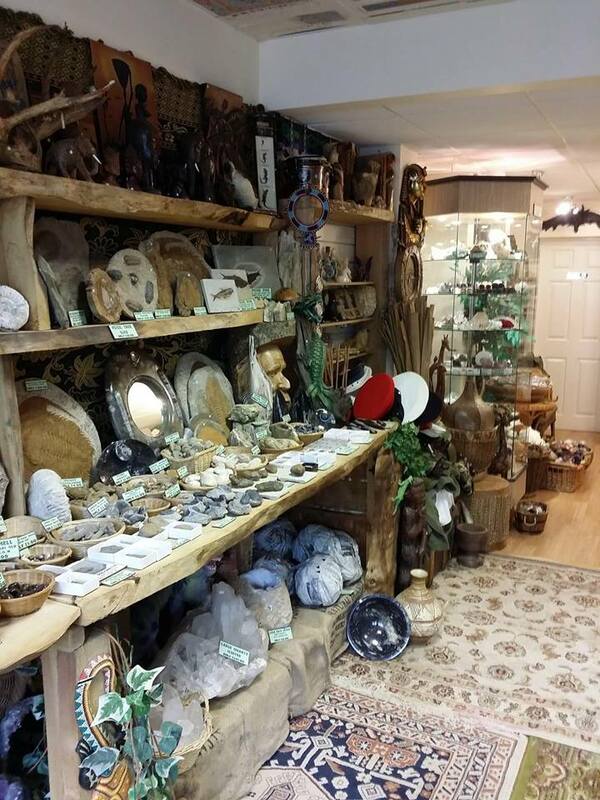 This Tardis like emporium has so much variety; it’s like going on a fossil hunt indoors. 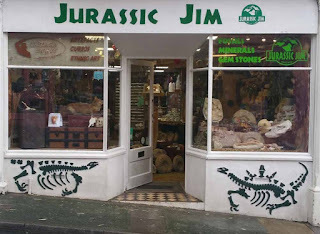 Jurassic Jim was recently voted as ‘the best shop to pick up that something special’ by visitors to the Isle of Wight and listed as the number 1 shop on the Isle of Wight by Trip Advisor. If you’re looking for a cool and original shopping experience in a magical world of reality head to Jurassic Jim’s on the High Street in Shanklin. Have you ever visited Jurassic Jim's shop? - I'd love to know what you thought of it.